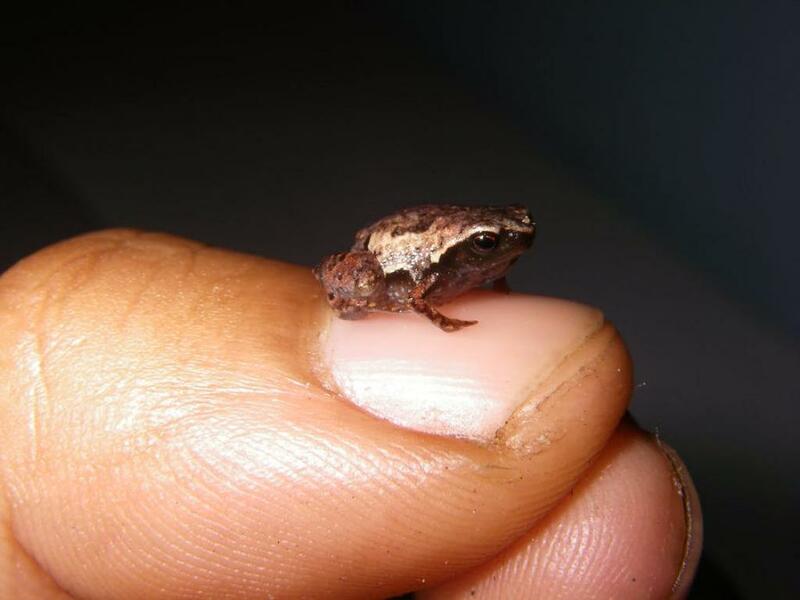 We have added to the knowledge of these tiny species by describing five new species as belonging to the group of frogs commonly referred to as ‘narrow-mouthed’ frogs. The largest of them could sit happily on your thumbnail. The smallest is just longer than a grain of rice.